Impulse engines are the main form of sub-light propulsion on board Federation starships. Impulse drive is mainly used within solar systems or areas of space where warp drive is no available. Normal operation of the impulse engines will propel a Federation starship at up to speeds of 0.25c. Depending on the size and number of impulse engines available, ships such as the Galaxy class, can obtain emergency speeds up to 0.75c when required from the impulse engines. The impulse engine reactors are also the main source of power for the ships EPS power systems. Onboard Federation starships there is normally one main impulse drive mounted on the rear of the secondary hull. This drive is used for the primary propulsion of the ship during standard operation. On larger Federation starships there may secondary impulse engines mounted on the primary hull to provide additional propulsion for the ship. The impulse engines are composed of four main parts. The first part of the engine is one or more fusion reaction chambers. These reaction chambers are supplied deuterium from the ships primary storage tanks; here it undergoes a fusion reaction producing high energy plasma. The plasma is directed out of the chamber into the accelerator/generator stage. During times when the impulse engines are not being used to propel the ship the output of the reaction chamber are directed into the ships EPS system. When being used to propel the ship the plasma is accelerated and passed into the driver coil assembly. 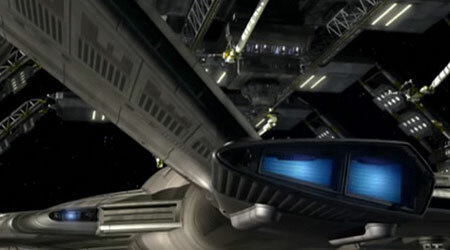 The driver coils are similar to those found in the ship s warp engines; these coils have the effect of reducing the ships apparent mass allowing the reaction to drive the ship. After leaving the driver coils the plasma is sent though the vector exhaust ports, driving the ship forward. Prolonged use of the impulse engines are not recommended due to th e effects of special relativity, especially at speeds higher than 0.25c.